Master Brazilian Drummer “Caju” (Cashew) will be giving a drum workshop to the teens at the Milagro Center in Delray Beach Florida on Wednesday, October 19, 2016. The Milagro Center is a non-profit organization in Delray Beach that gives underpriviledged children and teens a place to develop their artistic and musical skills as well as tutoring them with their academics. 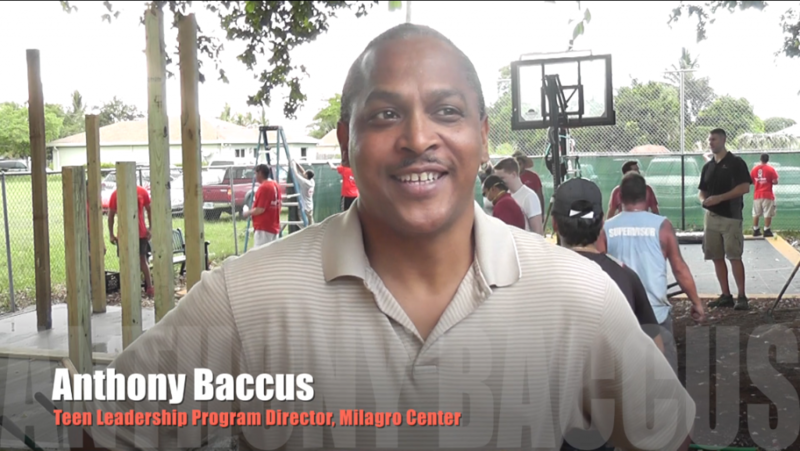 Anthony Bacchus, Teen Program Director at the Milagro Center. The workshop was arranged by SambaLá President David de Hilster and Teen Leadership Program Director Anthony Bacchus of the Teen Milagro Center. The teens will take part in a workshop that will include an introduction to the history and meaning of Samba from Brazil as well as a hands on workshop using authentic Brazilian percussion instruments. 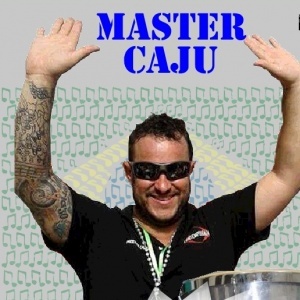 Master Drummer Caju from Sao Paulo Brazil will be giving the workshop. David de Hilster works at LexisNexis who recently sent over 200 of its employees to the Milagro Center to perform new constructions and improvements at two Milagro Center locations as part of the LexisNexis Day of Caring. That is where David met Anthony and the idea for theworkshop came about. The workshop is sponsored by Contemporanea drums in Brazil and SambaLá Samba School from Pompano Beach Florida. Next Post:Summer Samba Jam Thursdays!